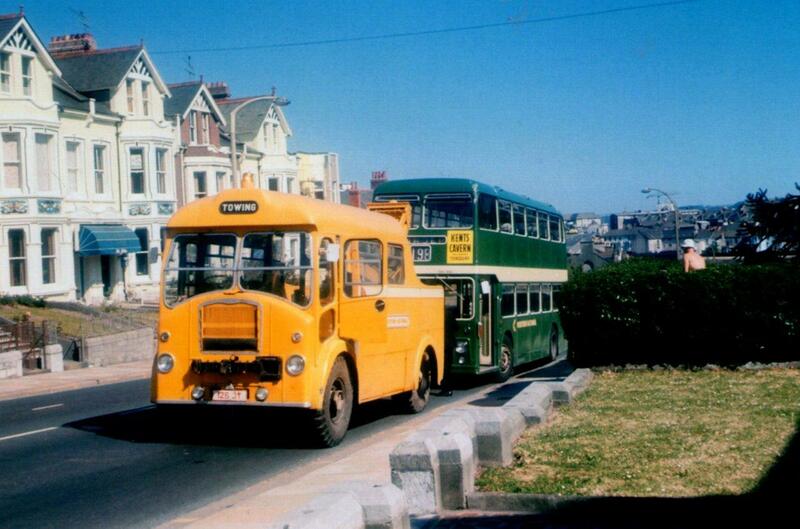 Stunning shot of Western National recovery truck rescuing a Bristol VRT in Plymouth. This is towards to top of Alma Road, approaching Milehouse Depot. Even the house behind the bus are long gone. Thanks Rob. You are right! Its further up the hill than I realised. I should have noticed as I was there on Saturday as my sister lives in Earls Acre which is right behind where the picture was taken from!